Linda Stutz serves as vice president of care management services at Cerner and is a registered nurse. 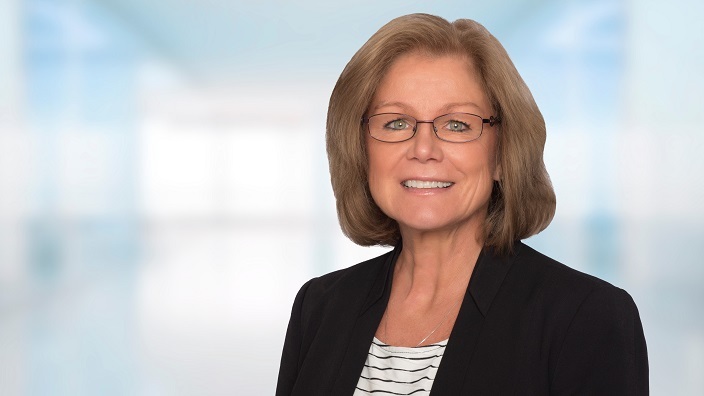 Prior to joining Cerner, Linda held roles including vice president of care coordination and senior director of case management services at various health system organizations. Today, when people are sick and need health care services, the responsibility often falls on the person to coordinate their care, which can lead to poor outcomes and frustration for all parties involved. Other people may simply not be engaged in their health at all. There is an opportunity in health care to set up a more supportive infrastructure for the care team and the organization to improve the person’s well-being. I’ve been working in health care for more than 30 years and have witnessed firsthand the frustration people face from a disconnected care experience brought on by a lack of accessibility to their health data and undergoing redundant processes. For example, people often have to repeat their entire care history for each care provider they see, which can lead to a duplication of health care services or a lack of necessary services for those who need it most. I’ve spent the last several years leading care management programs for health care organizations that are making great progress, but the industry is still at the beginning of transforming the way the system operates. As organizations look to implement care management strategies, key factors to consider include defining care management goals, identifying who in the population to target, putting the right care management team in place, incorporating technology and measuring results. Simply put, care management helps people manage their health through hands-on care coordination and personal relationships between the care team, which includes the person and their care manager. Care managers can support people by scheduling medical appointments, coordinating care needs, identifying duplicative services, promoting healthy behaviors, providing education and helping them stay on track with their care plan. At its core, care management empowers people to better manage their health and close gaps in care to promote healthier lifestyles. At the same time, care management helps organizations achieve their business goals to improve outcomes while controlling health care costs to promote meaningful, positive health behaviors. Many organizations can benefit from implementing a care management program, including providers, employers, payers (both private and public) and community organizations – all have a stake in improving health outcomes and controlling health care costs. First, it’s important to establish why an organization is focused on care management. For care providers, the “why” may be participation in regulatory programs like Chronic Care Management (CCM) to earn reimbursement payments while helping to support healthier populations. Self-insured employers may be attracted to a care management strategy to reduce their health plan spend. For health plans, care management can help to improve measures that impact their Healthcare Effectiveness Data and Information Set (HEDIS) scores or Medicare Advantage (MA) Star Ratings. State governments may look to care management to improve the health of their Medicaid beneficiaries. No matter the driver, establishing the “why” for a care management strategy helps set the stage and keep organizations focused. Organizations should also set benchmarks and define the goals they want to reach so they can monitor the success of their program and make appropriate modifications. Once an organization knows “why” it needs care management services, the next step is to identify the targets within the population, which can be accomplished through data analytics. Targeting a subset of the population can help determine which care management services to provide, including complex care management, health coaching, utilization management and advanced illness planning. It’s important to note that people in need of care management may be at varying ends of the spectrum. Some will be healthy and need lifestyle coaching to keep them from becoming at risk; others may be moving into the at-risk category and need help stabilizing their condition. Individuals already living with chronic conditions may need help navigating how to manage their health. For a care management program to be effective, it needs the right people behind it – leaders to manage the program, the right clinical team or licensed professionals, and non-clinical staff. Once leadership has program goals and a target population identified, the next step is to determine which roles are appropriate. For example, registered nurses, behavioral health specialists and pharmacists can help people make the best clinical-related care decisions, while health navigators can help engage people through proactive outreach. Leadership should also consider the geography of the people their organization serves. If a physical location is easily accessible by the population, on-site care managers who can conduct in-person sessions may be best. If the geography is widespread, a virtual care management team may be a better option. Many organizations use a combination of both. 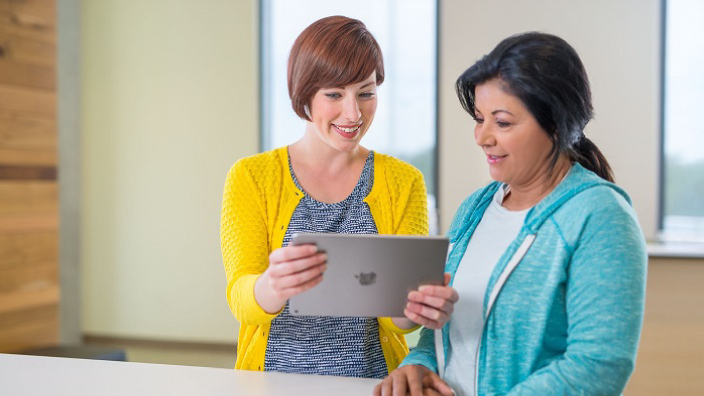 For a care management team to be successful, they’ll need the right technology. Tools such as customer relationship management (CRM) software can help the team understand who in the population is not engaged and provide insight on how best to engage them. A personalized outreach approach tailored to how the person prefers to engage – such as telephone, text, email or secure messaging via a portal or video conferencing – can encourage people to be a proactive part of their care team. A longitudinal record and single plan for health and care, with data that’s available in near real-time, can help a multi-disciplinary care team work from the same page to provide the best experience and outcomes for those receiving services. A longitudinal record provides a comprehensive picture of a person, bringing together data from various sources – such as clinical, claims, pharmacy, wellness and social determinants – to provide contextual awareness regarding a person’s health. With this rich context, care teams can make the right decisions at the right time. For the whole care team to have visibility into the person’s entire care history and plan, the data must be shared across the continuum. Organizations should also consider tools that help people self-manage their conditions. Devices like blood pressure cuffs, scales and glucose monitors can help people monitor their health when they are at home, and this data can be sent to the care manager to monitor activity. Finally, for a care management program to meet its “why,” program results should continually be monitored, measured and adjusted where necessary. For instance, organizations should track how many targeted population members are participating and engaged, monitor satisfaction ratings and measure the direct impacts of the program (such as controlled costs and better outcomes) and indirect impacts (such as increased market share and customer loyalty). As consumers become more involved in their health and care, an effective care management program can help organizations remain competitive, build loyalty and provide new revenue opportunities. Learn how Cerner can help support you in your care management journey with our comprehensive services and solutions.